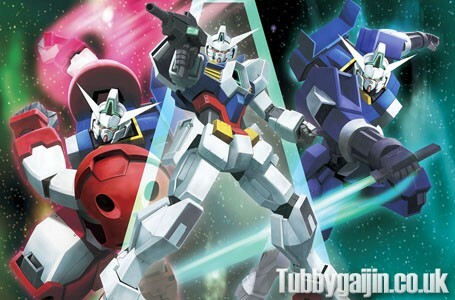 I’ve just recently finished watching the first generation of Gundam AGE, so here’s a quick review. Developed by Akihiro Hino, President of Level 5, this is the latest series in the Gundam franchise. Although it’s aimed at bringing a new generation of fans into the fold, there’s still plenty for us old-timers to enjoy. The Saturday-morning art style hides a decent plot with some complex and hard hitting themes, I’d definitely say give it a chance and you may be pleasantly surprised. The recurring themes of first generation are loss and revenge, with many characters being spurred on by the ghosts of their past. 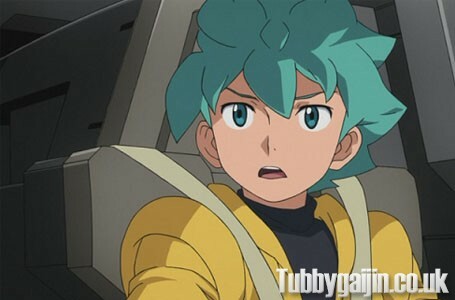 Our protagonist, Flit Asuno was orphaned during an attack by the mysterious Unknown Enemy, before here death, his Mother entrusted him with the designs for the Gundam. 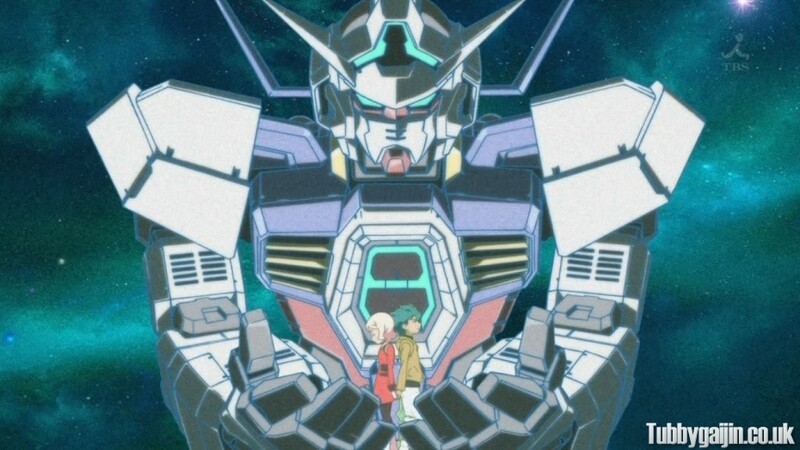 Seven years later, the Gundam is nearly completed and the UE return to attack Nova(Flit’s home colony) in almost exactly the same way Side-7 was destroyed in the original Mobile suit Gundam. 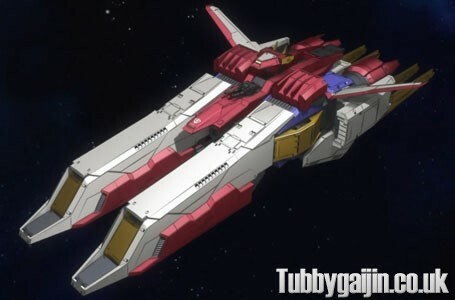 Flit then joins the crew of the Diva and sets out to battle the UE. The most likable main character in a long while, Flit’s a very smart and happy young man, he’s still haunted by nightmares of his mother’s death and his hate for the UE runs deep, intensifying when he loses a close friend. Flit finds a kindred spirit and father figure in the Diva’s Captain, Grodek Ainoa, who lost his entire family in a UE attack and is hellbent on revenge, so much so that he commandeers the Diva for his own personal retribution mission. Of the supporting characters, my personal favourite was Woolf Enneacle – a Grand Prix champion who joined the military after there was nobody left to race. He’s a vain, egotistical, rude guy who’s obsessed with playing cool. His nickname is the “White Wolf” which comes from the fact his Mobile Suits are always pure white. The mecha designs are pretty great too, AGE is clearly a homage to the original Gundam, the chunkier design with vents and verniers really works for me, not to mention it has a SPOILER! The AGE System itself is also a very cool concept – the Gundam collects battle data which is used by the AGE Builder(a compact factory) to create new weapons and armour perfectly suited for specific situations on the fly – nice! This brings along Titus and Spallow, one designed for pure strength and the other, speed. The homages don’t stop there, other grunt and enemy units have a familiar GM and Zaku look to them and the Diva is about as White Base as you could get, although it starts out looking slightly different and transforms into a more recognisable form with an upgrade courtesy of the AGE system. The UE units are very unique, with their alien, almost dragon-like feel making them quite menacing. Generation 1 culminates in a massive battle, which answers some questions about the UE, and then we’re thrown 26 years into the future, where Asemu Asuno is about to become the Gundam’s next pilot. Alot of people judged this series harshly based on the promotional artwork when it was first announced. If you can look past the art style of some characters, Gundam AGE is an entertaining series with some great looking Mobile Suits, and the generational story is proving to be very interesting. 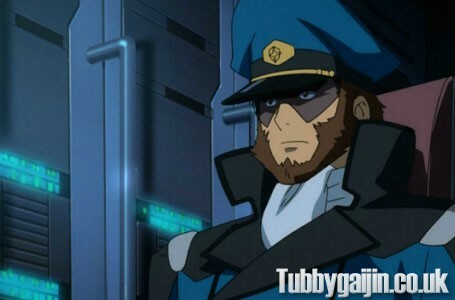 Have you watched Gundam AGE? Nissin Cup Noodle advert - SURVIVE!